Are you one of those people that have always dreaded going to the dentist? If your answer is “yes”… then you’re definitely going to the WRONG dentist! 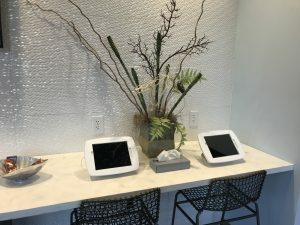 Do yourself a favor and check out River Run Dental Spa! Yep… the word “spa” is in their name for a reason! You actually feel like you’re at a spa when you walk in because everything they do is centered on YOUR comfort! 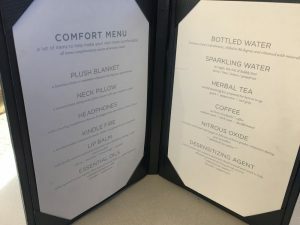 In fact, they even have a comfort menu full of complimentary services (pictured below)! They have massage dental chairs, microfiber neck pillows & fleece blankets for you to use during your appointment and you know how all that oral work can chap your lips… River Run Dental Spa even offers complimentary lip balm for you too! My friends at River Run Dental Spa want you to have the best experience possible! 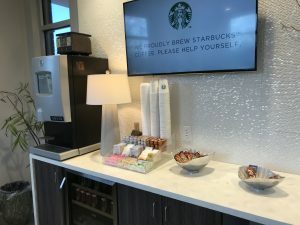 Oh yeah, and what other dentist in RVA will offer you freshly brewed Starbucks coffee and snacks while you wait?! NO ONE, except for River Run Dental Spa! I’ve been going to see the awesome doctors at River Run for over a year now and I know you’re going to love them as much as I do! Check them out at RiverRunDentalSpa.com and when you’re ready, go experience River Run Dental Spa for yourself! And yes, children are welcome too! 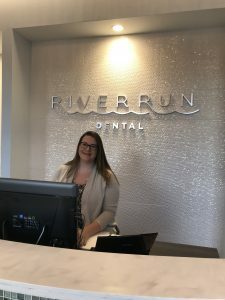 One of the MANY smiling faces you’ll see when you walk into River Run Dental Spa! Tablets for you (and/or your kids) to use while waiting! One of my favorite things about River Run Dental Spa.. the Comfort Menu!! 103.7 Play – Melissa & Jack – Are Kids Really Still Eating Tide Pods?